The Israeli occupation authorities continue to commit more crimes against Palestinian citizens, lands, houses and properties in Jerusalem in violation of the international law. This report covers various Israeli violations that occurred during the month of February, 2007. 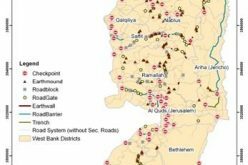 – Dahyiat al-Bareed: The Israeli occupation forces tightened blockade around Jerusalem by going on with the construction of the Annexation and Expansion Wall to cut links between the holy city and Ramallah in the area of Dahyiat al-Bareed. The final concrete barrier was placed on 19/2/2007 on street side facing Welfare Association. Only 250m remain before the isolation is completed from north, north western, and north eastern sides. 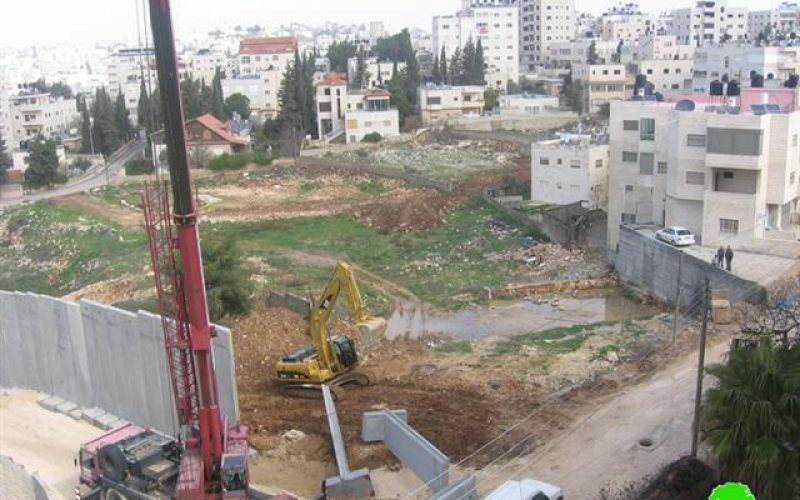 – Bir Nabala: On 6/2/2007, Israeli occupation authorities handed Bir Nabala local council a demolition order of all the premises and fences that form part of the public garden project which started 18 months ago over a 7 dunum area to the west of Atarot industrial zone. The threatened project was built at the cost of 250000 US$. The demolition order which was issued under the pretext that the land on which the project was built is ' state land' called upon the village council to put off hands over the land and to demolish all the premises within the period of 45 days'. – Shu'fat: Israeli archaeology authority launched excavation and sweeping works in the middle of Jerusalem-Ramallah main street. Excavation The excavation works which is the third of this type in 10 years began on February. Previous excavations led to discovery of Romanian city that is 1800 years old, according to an Israeli archaeologist. 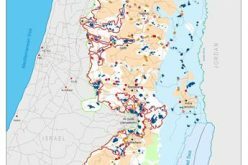 – Silwan-Rababah valley: Israeli bulldozers swept Palestinian lands owned by the families of Sheikh, Dajani, and Tamimi in Rababah valley-Silwan, in order to search for ancient ruins. The Jewish El-Ad extremist settlers' group is responsible for carrying out the works at the site for the purpose of constructing a new Jewish quarter on lands seized in that particular place. – Bir Nabala: Israeli occupation forces broke into Bir Nabala local council on 4/2/2007 at 01:00 AM smashing the main door and inner doors, taking all the files and documents before leaving the site. 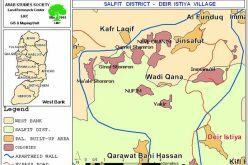 – Al-Jib: Israeli occupation forces stormed the Zakat (Alms) committee on 4/2/2007 at 01:00 AM leaving it havocked. The committee helps poor families and orphans in 6 villages isolated by the Annexation and Expansion wall in northwest Jerusalem whose population totals 35000. Israeli violations against religious places such as the excavations beneath the Alaqsa mosque, assaulting and preventing worshipers from Jerusalem and the rest of Palestinian territories from entering these places are serious violations against the freedom of worshipping guaranteed by international law and human rights declarations. – Friday 2/2/2007: Israeli occupation forces restrained worshipers' entry to Alaqsa mosque so as to prohibit any demonstrations against excavations going on near the Moroccan gate of Al Aqsa mosque in the old city. Only those who exceed 45 were allowed to get in. – Monday 5/2/2007: Israeli forces imposed strict procedures on Jerusalem and blocked all entrances. Soldiers fired live bullets and tear gas at Palestinians wounding 10, including the head of Alaqsa guard unit Mr. Mohammad Ismael Abu Turk. A number of protesters were also arrested. Israelis hindered ambulances arrived to evacuate casualties. In another interview with LRC field worker, eyewitness Mohammad Rukun, a citizens of Jerusalem said the following: 'police officers and settlers fired at Palestinians without a reason and some young men were arrested and assaulted with batons, one of them is Sameer Alami (24) from Swaneh quarter (Mount of Olives). Alaqsa clinic informed our filed researchers that – more than 80 were treated in the field. – Tuesday 6/2/2007: Israeli bulldozers started sweeping parts of the ramp leading to the Moroccan gate at the western wall of Al Aqsa mosque ( Al Buraq or Jewish western wall) while Israeli soldiers closed all of seven old city gates and moved Waqf ( Islamic trust) and supreme Islamic league officials away. Israelis attacked Sheik Ra'ed Salah, the head of Islamic movement inside Israel forcing him to back away, and then he was arrested for a couple of hours. Jerusalemites were banned from reaching the old city, and barriers around Jerusalem were blocked (Qalandia, Hezma, and Azza'ayyem). Special task forces units arrested 11 young men at Saladin and Sultan Suleiman streets during a demonstration. – Wednesday 7/2/2007: Israeli bulldozers resumed the sweeping and demolition process of the ramp including 2 rooms adjacent to Alaqsa western wall. Works were extensive than the previous day, and Israelis arrested Mr. Raed Salah again forcing him by a court decision to stay away from the old city walls no less than 150m plus a fine of 3000 NIS. Israeli police banned Waqf employees, teachers, and students from getting into Alaqsa for the second day ( there are 3 schools inside Alaqsa: the religious high school for girls, Alaqsa high school for boys, and Alaqsa Islamic kindergarten serving all together about 500 students). – Friday 9/2/2007: Israelis turned Jerusalem into a war field, stopping Palestinians, and limiting worshipers' access to the mosque as flowed: those who are above 45 years old; holders of Jerusalem ID; and citizens of Israel. Israeli occupation forces closed Qalandia checkpoint north of Jerusalem, and fired tear gas to disperse Palestinians who tried to cross it. Israeli bulldozers continued works at the Moroccan gate. Israeli soldiers stormed the Alaqsa mosque under a cover of tear gas and sound bombs causing many casualties treated at Alaqsa clinic. The evacuation of causalities by ambulances to nearby hospitals was an impossible duty because of the Israeli blockade. Elders and women were asphyxiated by tear gas, among them Yousra Rajabi. Israeli police spokesman declared that 17 people were captured and moved to the Russian compound detention center in west Jerusalem for interrogation. According to Palestinian sources, 11 were people were wounded, including 2 paramedics. An ambulance belonging to the Palestinian Red Crescent Society got a bullet a sound bomob as well as a rubber-coated metal bullet in the windshield causing injuries to driver Na'eem Anees Masalmeh and paramedic Bassam Muraish. – Sunday 18/2/2007: Hundreds of Palestinians who live inside Israel were stopped and prohibited from getting close to the excavation site at Moroccan gate to demonstrate, whereas Jewish groups (as well as El-Ad) announced they were going to gather to support excavations and establishing their alleged temple in Alaqsa area. The head of Islamic movement inside Israel, Sheik Ra'ed Salah, continued encamping around Alaqsa after a judicial call was released to ban him from entering the old city for 60 days, while head of Palestine judges, Sheik Tayser Tamimi, was tried for 'incitement and entering Jerusalem without permission'. A further development was published by the Israeli newspaper -Yadeot Aharonot- reporting that Israeli officials hid a praying room dating back to the Ayyupid period (12 century AD). This room was discovered when parts of the Moroccan ramp collapsed in 2004 and Israeli archaeologists did excavations at the site. The paper confirmed that the whole issue remained confidential so Muslims could not consider it a sacred place. – Thursday 22/2/2007: Israeli security agencies questioned Sheik Ra'ed Salah again for provoking 'violence', and police cavalry aggressively attacked doznes of women during a female rally that comprised about 1500 Palestinian women from Jerusalem and Israeli to stand against the ongoing destruction of the Moroccan ramp. The protester Isra'a Owayydeh said to LRC filed worker: 'the Israeli special task forces prevented us from reaching the old city gates for security reasons'. – Friday 23/2/2007: A strict Israeli closure was imposed around Jerusalem and around the old city, 18 protestors and 2 paramedics were injured during confrontations that broke out near Qalandia checkpoint in protest against the banning of Palestinians from entering Jerusalem for the fourth consecutive week. 2. The municipality must inform license holder of the cancellation and take his reply into consideration. 3. The license can not be void if holder starts constructing (extremely important). By so doing, lawyer Jubarah confirmed that the municipality tried to separate it self from any suspicions and hold the license holders responsible for the alleged construction mistakes. – A Shayyah- Mount of Olives: Mr. Fahmi Abu Sneineh said that the Israeli regional planning and construction committee rejected at the beginning of February 2007 a master plan for A Shayyah area of Mount Olives presented by Abu Isneineh and others in the name of 50 families. The Israeli rejection came under the pretext that the plan aims at transferring the land of the Jewish cemetery into a Palestinian building quarter despite the fact that dozens of houses were already built at the site during the past years. The rejection came in response to protests and cautions presented to the committee by the religious affairs' office at the prime minister's office headed by the racist and extremist Zionist, Arie King. Other warnings came from the minister of the state Ishaq Kohin who said that the ratification of the plan contradicts with the Israeli efforts to impose Jewish sovereignty and law over the place. Also, the planner of the Jewish cemeteries sent his objection to the plan stating that the endorsement of the plan will totally diminish any possibility to expand the cemetery. The Palestinian affected people confirm that the area in question is located out side the boundaries of the Jewish cemetery which has been expanding at the expense of the Palestinian owned land throughout the years of occupation. – Silwan-Ellozaeh quarter: The Israeli municipality of occupied Jerusalem fined Khalil Nimer Abbasi the amount of 60000 NIS in order to delay house demolition under the condition of getting a license. The house area is 230m2 and occupied by his family (9 members including 4 children). – Al-Mukabber-Sala'a quarter: The Israeli municipality of occupied Jerusalem forfeited Yahya Ahmad Za'atreh by a number of fines for a building constructed in 1999. The first fine was paid in 2000 and the last in 2006 (10000 NIS), plus 4 months in custody. Za'atreh's family is of 5 members including 3 children. He is jobless and gone under an open heart surgery, his wife suffers from kidney failure, and the eldest son (12) is disabled. 1. Ibrahim Ahmad Abu Dahouk: 3 residential barracks and 2 barracks for livestock. 2. Ali Ibrahim Abu Dahouk: 2 residential barracks and 1 barrack for livestock. 3. Amenah Khamis Abu Dahouk: 1 residential barrack and 2 barracks for livestock. Following a field visit to the site LRC field researcher confirmed that all the families are now living under the constant fear of destruction and the Israeli military governor has already warned them to evacuate the dwellings as soon as possible. 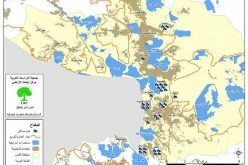 – Isawiyya: The Israeli municipality's court issued on 15/1/2007 two administrative demolition orders against 2 buildings belonging to Azmi Taha and Daoowd Ali Naser within a month. -Khirbet Umm Allahm: Israeli occupation forces destroyed on 21/2/2007 a house owned by Hani Mohammad Saleh. The house was of 1 storey (230m2) and occupied by 7 members. This is the fifth property owned by sons of Mohammad Ibrahim Saleh destroyed this month in the same village. 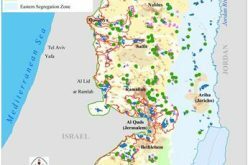 – Bethany-Jahalin: The Israeli bulldozers demolished on 6/2/2007 two metal barracks (100m2) in the area between Ma'ale Adumim and Kedar settlements. They belong to Omar Mohammad Sarayya'a whose family is comprised of 7 members. – Al Hardoob- Mount Olives: Israeli bulldozers demolished on 28/2/2007 a residential building located on a hill facing Zayton crossing point. It was of 3 storeys and 16 apartments (960m2-every flat is 60m2), and the pretext was – not having a license-. The building was owned by Ibrahim Abdul-Rahim Anati, then he sold it to a number of families, some were living in and the others have their furniture introduced. The total number of residents who were living in the building at the time of demolition was 100. – Khallet Al-Ein, Mount Olives: The same day Anati's building was destroyed, bulldozers moved to Khallet Al-Ein near Augusta Victoria hospital at the top of Mount Olives demolishing Hani Salim Sayyad's house. The house was of 2 storeys and accommodated his wife and 6 children. It was finished on November 2006. – Friday 2/2/2007: Israeli intelligence and border guard irrupted Abu Dees at 02:00 a.m. and arrested Mohammad Jamal Rabei (19), Ma'amon Ibrahim Bader (18), and Thaer Ali Waheish (18). – Monday 5/2/2007: Israeli military court in Ofer postponed the case of two PLC deputies: Dr. Ibrahim Abu Salim; and Mohammad Abu Jehesheh- to March 6th in order to listen to attorney witnesses. – Thursday 8/2/2007: Israeli occupation forces arrested Farouk Mohammad Ali Halabeih (19) from Abu Dees. – Sunday 11/2/2007: Israeli occupation forces arrested 5 children: Ala'a Mahdi, Mohammad Abu Eid, Ma'arouf Samarah, Ahmad Ziab, and Raed Abu Eid from Beddu north of Jerusalem. They were captured during a non-violent demonstration against the Wall. The children ages range between 10 and 12. – Wednesday 14/2/2007: An arrest campaign was carried out at dawn in the old city to capture 42 youths and children ( between 10-17 years old). Israeli police said it arrested 20 Palestinians participated in clashes all over Jerusalem streets to protest excavation works at the Moroccan gate, police spokesman clarified that 90 Palestinians were held. – Thursday 1/2/2007: Taha Mohammad Sobhi Aljawi, 17 years old, from Bab Hutta inside the old city was killed near Qalandia checkpoint north of Jerusalem. An Israeli soldier shot him and bled to death. – Monday 12/2/2007: Jamil Jamal Masha'al, 49 years old, a blind man, injured seriously in head by a tear gas shell while being in home in Ras A-Amoud. – Wednesday 14/2/2007: An Israeli force broke into Abu Dees boy school without reason and attacked students with batons and guns. 5 got traumas and arm fractions: Ahmad Khalid Muhsen, 12 years old, Abdul-Raheem Ahmad Halabeih, 14 years old, Ahamd Mohammad Mahmoud Sa'ayreh, 14 yeaars old, Mohammad Qasim Rabei, 15 years old, and Ali Yousif Bader (14). – Friday 23/2/2007: Photographer Mohammad Ouayysat, 30 years old, was wounded in his left leg by a shrapnel of a sound shell. Ouayysat works for Associated Press agency. – Saturday 24/2/2007: Yousra Mohammad Abdul-Rahman Rajabi, 60 years old, from Beit Hanina died in Al-Makased hospital. Rajabi was injured badly in the head when an Israeli soldier hit her with the back of his riffle while trying to prevent the arrest of a Palestinian boy on 9/2/2007. A witness informed our researcher that the attack took place near the Dome of the Rock mosque, and Rajabi was trying to prevent the arrest of a Palestinian boy when a soldier hit her on the head. She was taken unconscious to the intensive care unit at Al Maqased (Islamic charitable hospital) hospital. Doctors could not do any surgeries because of bad health condition. She did not show any progress till passing out. – Wednesday 14/2/2007: Ha'aretz newspaper said that Israelis are asked to show a passport or traveling permission (lasses` pass) at Eretz crossing point between Israel and Gaza. These procedures are valid starting from February 1st, 2007. By so doing, the Israeli authorities officially consider the Gaza Strip as non- occupied territory. Jerusalemites and Arabs in Israel who have relatives in Gaza are mostly affected by this policy given that there are between 800-1000 women in Jerusalem married to Gazans. They were previously aksed to leave their IDs at Eretz crossing point, but after the new arrangement they asked to leave their IDs at the interior ministry office in Jerusalem for getting a lasses` pass. Moreover, a preceding coordination with Israeli civil administration is an obligatory -plus passport or traveling permission- to arrive and depart. – Wednesday 28/2/2007: Israeli authorities shut down the Commodore hotel in the Mount of Olives, banning a press conference for religious personalities (Muslims and Christians), where a document named -Bond & Covenant- was supposed to be signed. That covenant stated preserving Jerusalem, Alqsa mosque, and all sacred sites in the holy city. Religious men then moved to the Ambassador Hotel in Sheik Jarrah in order to do the conference but the Israeli police and intelligence broke into the hotel and handed the administration a ban order issued by the general commissioner of Israeli police, so the conference was carried out at the hotel entrance.